Reaching Utahns in rural and underserved areas who can’t access sufficient food resources. 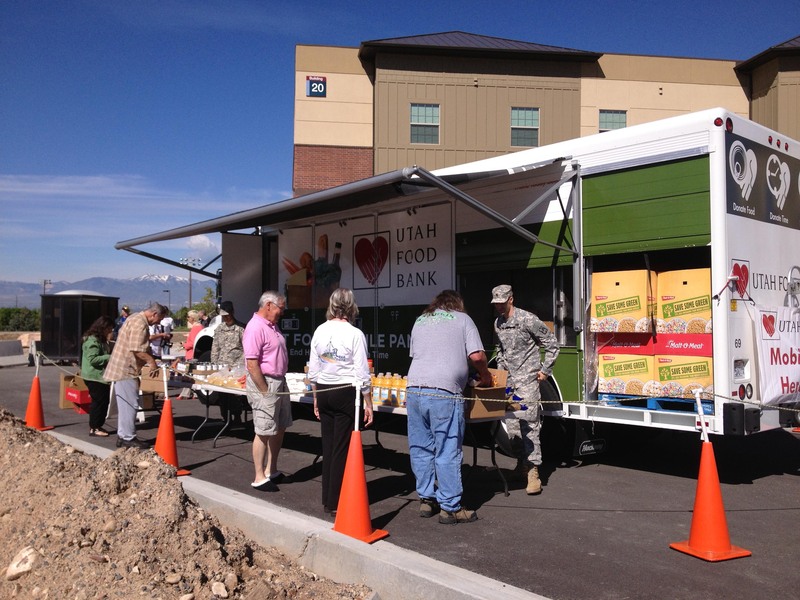 Utah Food Bank’s Mobile Pantries provide support to Utahns living in areas that are classified as food deserts or are inaccessible or underserved by traditional food pantries. Many Utahns live in areas classified as food deserts, areas where residents don’t have healthy, affordable food stores near them and lack sufficient transportation to get to the nearest stores. Often, the few food resources available often lack nutrition (such as fast food restaurants) or are over-priced and under-nutritious (such as convenience stores). Local pantries may lack storage space or refrigeration, making it difficult to support the local community and offer adequate fresh food. Last year, Utah Food Bank served 130,338 individuals through 310 Mobile Pantry deliveries at 29 strategically placed sites around the state.